I am going have a quick look at Lead Lightning a program developed by Neil Guess. I will give you my perspective on whether this product is worth the advertised price of $7 one time fee, enjoy my Lead Lightning Review. 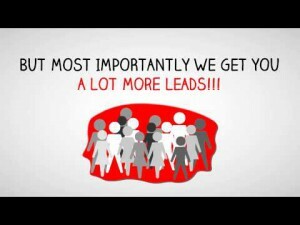 Lead Lightning sells Internet Marketing training designed to generate automated leads. If you have heard the term leads this is another word for traffic. There are a multitude of lead generating programs selling their wares to prospective buyers. Lead Lightning in my opinion is what is referred to as a Multi level marketing program (MLM). Programs like Lead Lightning get you to buy in so that you can then turn around and promote Lead Lightning, in other words it is a recruitment based program. Who Is A Good Fit for Lead Lightning? I will say that people new to the online money making game are prime targets for recruitment do to the fact they lack the knowledge on how generating income online really works and may be under the misconception that getting traffic or leads relates to sales which is really only half the online money making equation. All traffic isn’t made equal and most newcomers to Internet marketing don’t understand this principle, If your traffic isn’t targeted or at the right point in the buying cycle traffic is just traffic which in most cases won’t equate to sales. An example of this is if I were to sell keyword tools and the traffic that was being directed my way were actually looking for autoresponders, what realistic chance do I have of selling them a keyword tool when they are actually looking for something else, this is an unfortunate practice that many lead generating products offer. People get coerced into buying lists or traffic that in many cases are not relevant to their product they are promoting, but you get traffic so the seller’s obligation is fulfilled, traffic as advertised. What Do You Get For Your Membership In Lead Lightning? Once inside Lead Lightning you get the opportunity to sell Lead Lightning to prospective buyers. The bulk of your Lead Lightning training revolves around the selling techniques used to sell the Lead Lightning System making this program an MLM program in my view, the success of the program appears to be heavily linked to recruitment. There is not a lot of value that I can see for your $7, that low fee is there to get you through the door which puts you in line for more upsell offers down the line that are hard to refuse, no one wants to pass up commissions and that’s what you will have to do if you pass up on these upsell offers. One thing leads to another, no pun intended, and the next thing you know you are in deep with a bill greatly exceeding your $7 investment. Can I make Money Using The Lead Lightning System? Yes, technically you could make some money with this program under the regular $7 membership but it’s minimal in comparison to the systems subsequent offers. I feel in the end the risk of losing money has to be a consideration when you buy into in the Lead Lightning program given the fact that $7 will not be the only money you spend in this program. Starter membership: This is the $7 membership that got you through the door, you will receive $6 for anyone that signs up under you. Silver Membership: This is a $29.97 monthly membership that will earn you commissions of $15 a month for any recruit that pays the monthly $29.97 fee. Gold Membership: $53.97 is the monthly membership which allows you to receive a recurring monthly commission of $20 as long as the recruit purchases this package and stays enrolled. Diamond Membership: This is a one time payment option on top of one of the previous membership options. You will receive a one time commission of $100 on the sale of this membership. As you can start to see this program will end up costing you a lot more than $7. The Lead Lightning program operates on a “lottery ticket” mentality, you can’t win unless you buy! Do you think you have the self discipline to pass up your commissions to one of your recruits? If someone signs up under you and buys a Gold membership for example which you haven’t bought you get zip, you do the work and your recruit gets the commission, you will have to make that decision at one time or another! Lead Lightning is obviously not a scam, it does offer something for your money, not much but something. Lead Lightning is a sales funnel for a more expensive offer, I really don’t see the point in paying $7 just to find out that you need to spend more! Lead Lightning Review Lead Lightnings score was established using a set criteria that I use on all program reviews. PreviousLearn To Make Money Online Inexpensively! NextClickbank University Review- Read This Before You Join! The Canuck Method – Is There A “Method” To It’s Madness? 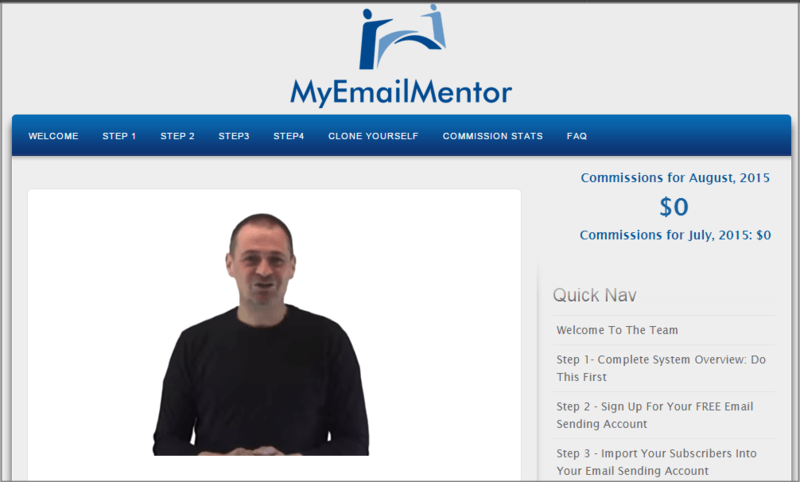 Hi Mike, as a beginning Affiliate Marketer I went out to look for an e-mail-autoresponder. Asking for hacks in a Facebook-group someone mentioned me LeadLightning. I have my own domain for which I am a believer in. Going over the video’s of Mr. P I more and more got the feeling of a MLM then of a service of an email-autoresponder. A lightbulb went on when I realized the video’s of Mr Palmer were only about the multi-level ‘opportunity’ and not what I was looking for: a trustworthy autoresponder for my business (without the frustration of having ‘teammembers’). If I would be an Affiliate for my own niche, and had the idea of starting something from and from my own, then why on earth would I suddenly be interested in having a ‘crew’. Distraction of my main goals. The second lightbulb went of when I realized nothing actually was said about the email-autoresponder. Not a mentioning anywhere about deliverability, open rates, CTR. That’s when I went looking for reviews. It was quite difficult to find you under ‘review LeadLightning’, however I can’t thank you enough for your article. Hi Dennis, thanks for your comment and your thoughts, they will help my readers come to an informed decision on lead Lightning. What you have described is exactly why I don’t recommend Lead Lightning unless you are prepared to join so that you can promote their product, it really is all about promoting their product when the duct settles. Lead Lightning is an up sell in my opinion, nothing more. I see in your comment you mention an email-autoresponder, if it were me and just starting out I would look for the cheapest I could find because your list won’t be that big yet. I would look into Mailchimp’s free option. You get for free up to 2,000 subscribers and can send up to 12,000 emails for zero cost. Affiliate marketing can be done very inexpensively when you first start and scale your tools as you grow, many make the mistake of loading up on expensive tools to start and the expense kills their business very quickly. Keep your costs low to start, many tools can be found for free. The only costs you need to start are hosting for a website and access to a keyword tool. I wouldn’t invest in a autoresponder until I had a decent amount of traffic coming to my site. The same philosophy applies to promoting Any MLM opportunity, this can also be done very cost effectively by sourcing out free services and tools. Thanks again for your comment and good luck with your affiliate marketing business, lots of opportunity out there, cheers Mike. What do you think of its basics? Would anything benefit me in gaining knowledge and training from any of these MLM type marketing sites. Hi Huxel, few things I would like to touch on. I checked out the site you have been working on and before you look at ways to drive traffic I would build out your content a little more, there’s no need driving traffic to something that won’t convert traffic so I would start there. Second I would really think about building a business or website on a sub domain such as Doodlekit.com. The problem with free platforms such as Doodlekit to build websites is you actually don’t own your website and all that work you put into it hinges on the success of the Doodlekit platform, these websites aren’t portable so you loose all your hard work. One other draw back with working on a subdomain is you don’t actually own your website name so you can’t effectively build a brand. Someone could register a domain like Handyhux.com which is available at this moment to purchase and steal any traffic you have y ranking higher in search results. .com’s carry more weight with ranking in search engines so you always want to get your hands on a .com when possible. My advice, don’t pit to much effort into your website, get your own domain and build your site on WordPresses platform, it’s free, you own it, and it’s portable. I can help you with this for free of course if you need any more info on how to go about doing this! Lastly people go to Lead Lightning thinking they are going to help them drive traffic to their offer but the reality of it is, the only thing you will focus on in lead Lightning is trying to recruit people to join lead Lightning not your product. Lead Lightning is one big up sell that offers a chance to buy packages that you turn around and try and recruit people to sell, the $7 introductory price is just to get you in the door, after that you are hit with multiple up sells. What you need is a platform that teaches you how to drive traffic to your offer, not one that teaches you how to sell it’s product. Hope that helps Huxel. Need any help or have more questions don’t hesitate to ask me, love to help, good luck Mike. This a great review, I almost got suckered in but you put in perspective. The $7 fee is just to get you in the door for various upsells. Thank you for your words of wisdom. I noticed your offer to review someone’s site for them, I would love it if you could give me some feedback on my site if possible. The site is AdamEnterprisesOnline.com. Hi Catherine thanks for stopping by! Yes Lead Lightning isn’t what it appears to be and you must be ready for paying out extra costs if you want to proceed any further in their program, the $7 fee is basically just to get you through the door. I do offer free help and I have looked at your website. You have done a great job Catherine but I do see why you are struggling to get traffic. I am not a fan of your theme your from page image is to large and will over time hurt your rankings with search engines, they penalize you for slow loading images. The next thing I noticed is your front page scrolling blog roll has some back end issues, easy fix, you just need to go into setting under appearance and make sure your blog roll is actually linking to your posts, at the moment it is showing your posts can’t be found which will hurt your traffic if people land on your home page. New sites have very low ranking power so you need to choose your titles wisely selecting low completion keywords yet keywords that still target your market. I have many examples that I can email you if you like. I took your titles that had competition scores of over 300 in some case which will never get a high ranking and no traffic as a result and found alternatives that had competition scores of under 100 with traffic in the thousands. I hope this gives you some insight into why you are struggling getting traffic to your website, these are all easy fixes that I don’t mind helping you with, my free offer still stands. Have a great day Catherine thanks for stopping by, cheers Mike. P.S I think you should set up a bunch of social accounts such as Facebook, Twitter, Pinterest, Reddit, Stumbleupon and instal a free social sharing plugin that way when you post an article you can share that article with a simple click of a button to all your social accounts, nice to have a well balanced marketing approach! Well making $6 profit on a $7 sale is pretty good! I would just keep it at $7 and not try to upsell it any!! Try to just “Keep It Simple Silly! !” KISS!! Hi Chuck, I can’t say I can agree with the idea that you could make anything significant off a $6 sale, I would consider this statement kind of “silly” in my opinion, I guess if you were happy making enough for a case of beer now and again. If you are a really good internet marketer and could garner a ton of traffic maybe a $6 sale wouldn’t be that bad but, if you have no experience as an affiliate marketer then your just simply wasting your time thinking you could make any significant income from this offer. My advice, learn affiliate marketing and go for some good sales, sales you could actually live on or make some nice changes in your life. With affiliate marketing you don’t have to buy into anything, you decide what you want to promote and people pay you, not the reverse! The only way you could make any significant income with Lead Lightning would be to upgrade into a higher priced package and even at that you won’t know how to effectively promote the offer through the training they offer, so I really don’t see “keeping it simple” applying to this offer. I do see how keeping it simple applying to learning affiliate marketing where you are in control of what you promote and how much you can make. Thanks for your comment, cheers Mike. hi Tammy seems a little backwards that’s for sure!!!! I am new to.online marketing and i highly appreciate this review of lead lightning since you said it is a good program that a beginner can take several lessons from. Is it a good idea to join with that high amount since i am begining from zero infact i am just setting up my blog niwir.should i start with the small starter of $7 ? Hi Dave, actually what I do say in my review is if you are going to join Lead Lightning join for $7 and utilize the training offered under that membership but don’t bite at the up sell, there is no value past that point in my opinion. 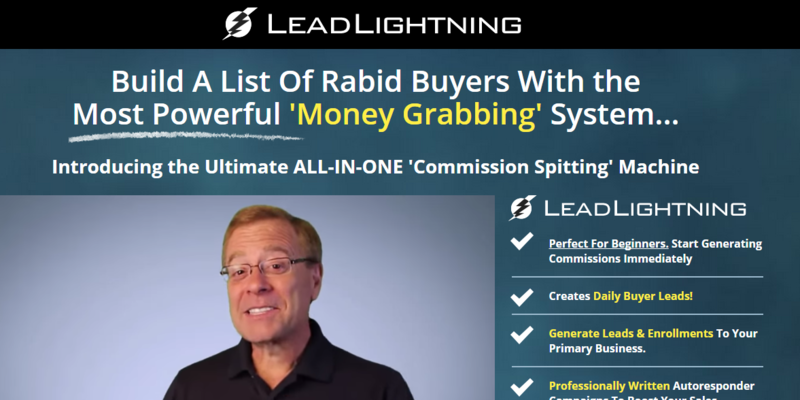 Lead Lightning isn’t the best program by any means they just try and get you through the door with the cheap $7 offer, but that’s only the beginning, you will soon be exposed to the real offer which will cost you a lot more unfortunately. Hope that helps Dave, have a good one mIke. Well done Mike, you quite good elaborate what the members to expect of Lead Lightning of their membership in future. You indicate that the initial membership fee of $ 7 is only a ticket to the future costs that they expect if they accept membership in Lead Lightning. You also point out that despite the solid costs that you would have with membership here, you should not expect much in return. If someone, despite this review, would like to risk non-inventive expenses, let him try it. Each decision is taken by itself. Cheers, Dragi. Hi Dragi, the whole point of a cheap introductory entry fee is to get you through the door, that’s pretty well it. Obviously your not going to lose your shirt over $7, but you might as well get something for your money, why throw it away. One thing that people looking to make money online need to know is, it’s going to eventually cost you something to participate online, what is that magic number, not $7. Thanks for stopping by Dragi! Hi Mike – thanks for the article. So are there programs you have you (involved in) might share? Hi Steve, I started my online career using Wealthy Affiliates platform. The reason I started with WA was actually by fluke but it turned out to be a good decision. What I got from WA was the basis for making money online promoting products. The WA platform teaches you how to promote any product using a website to reach your audience and from there you can promote anything with success. MLM products, Amazon products, service orientated products, basically anything that pays you for your promotional services. I have worked in a few niches over the years such as weight loss, make money online, binary option fraud collection services, board games. Using Wealthy Affiliate to get started gave me a really good idea of what I needed and what I didn’t need to make money online. They offer everything you need to know about affiliate marketing and offer the best opportunity to start making an income online. Over the years I have sourced out free or inexpensive training offered by individuals and platforms such as Chris Farrell, Mark Ling, Neil Patel, Dan Brock, Russel Brunson and Anik Singal, Shaw Academy and Udemy utilizing their unique areas of expertise. You may look at this list and say it must have cost you a fortune but really it cost me very little, why? Wealthy Affiliate like I mentioned previously gave me the knowledge and the ability to make money and really understand what areas I could expand on to make even more money and most of the internet superstars I mentioned above offer some sort of free or inexpensive training in various areas whether it be free webinars or inexpensive training. Many programs I would join just for a month and seek out the information I was specifically targeting and staying away from areas that I knew offered little value to me. If you read many of my reviews you will see a clear pattern. Many of the programs I review achieve my “approved status”. Does this mean I recommend them, no, but they do provide many components that offer some component of value. Programs that I don’t recommend are either just funnels for other products or offer very little value in my opinion. So to recap I would use WA to get started and start making some income and really learn what is needed to make money online and slowly branch out and specialize in various areas of marketing which at this time you can afford and recognize. The misconception is that you can use just one program completely for your online money making aspirations but to fully maximize your online potential you will need to recognize and utilize valuable training. Hope that helps Steve, have a good one Mike. You can read more on Wealthy Affiliate here! Thank you for your thoughts on Lead Lightning Andrew, appreciate you taking the time Andrew. You are right in saying that traffic isn’t all made equal and just because an outfit promises leads they mean nothing unless they are from your targeted audience, have a good one Mike. Thanks Saurav, have a great day, cheers Mike. Ted Gross is telling you that the system is for promoting Lead Lightning to others. The emails loaded in the auto-responder are for selling the same system you purchased to others. There is no need to buy it if you want to promote any other business. The catch is, you can’t sell what you didn’t buy. If you are a newbie you can’t resist the up-sells being promoted by Warriors’ forum gurus such as Ted Gross. These guys can sell you snake oil and you will happily pay for it. If you don’t have a method of driving traffic to your affiliate links then you must know you are donating your $7. Thanks for commenting Amos you are exactly right. The $7 fee is just a cheap introductory price that gets people through the door. The $7 fee looks very attractive to people who are working on a tight budget but it’s a slippery slope my friend! Once you get in and the up sells start rolling it is very hard to pass up the opportunity to make more money, the sad reality is you will end up spending yourself into a deep hole without a solid background in online promotions. If you haven’t had success promoting products online this program won’t be any different for you, so keep your $7 and walk away, learn how to promote products online first then “maybe” look at this product again when you have the right training under your belt. I agree I like to use Paypal myself. Lead Lightning is a legit outfit, not one I recommend mind you but legit none the same, cheers Mike. Hi Michael, realistically you could start out with lead lightning it’s only $7 to join but you really will need a website and knowledge of affiliate marketing to successfully promote your moms Realestate business. Be really careful not to buy into any up sells if you can’t do anything under the $7 fee then move on don’t get sucked into buying more options. My suggestion would be to get a little training in affiliate marketing, free training that is and learn how to promote your moms business to the internet public. Here’s some absolutely free training that you can access and it will give you a really good idea what it takes to promote products online with success. This is a 10 unit work at your own pace training platform that will have you build a free website and show you how to use that site to promote your mom’s Realestate business. Click Here Michael to access the free training! Don’t hesitate to stop by and run any other opportunities by me first, good luck Mike. Thanks Mike for this. I am a newbie as well but all that attracted me in lead lightning is the so cheap $7 that can market MY PRODUCT. I just want to MARKET MY PRODUCT please! The $6 commission doesn’t catch my fancy, neither does the up sell make any meaning to me, but just to use it market my online network marketing company. Will the system really do this? Or how can I make it do it if it wouldn’t do it? Hi James, if you want to market your MLM product you need to learn a little about affiliate marketing which will give you the skills to promote any product online with success even your own MLM offer. Here’s a link to some free training that will show you how to promote your offer without any worry of up sells. You will learn how to build a website and attract visitors to your offer. 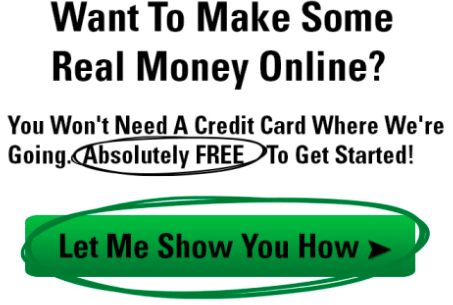 Check it out its absolutely free click here! Let me know how you make out cheers Mike. As always what you see is not always what you get after joining. The only leads RED HOT as they mention are the ones you are getting to sign up on the program. Then you have a chance of promoting yours when you send them the link. Overall did nothing more for me than taking my $7 could have got a good meal and felt better for it. I guess the fortunate thing Stephan was it only cost you $7 to find that out many spend upwards of thousands to learn a lesson, good luck in your future endeavours cheers Mike. Hi Mike, thanks for the insight into this MLM program. As you said $7 is very appealing, and that is probably the big catch especially for people that doesn’t have much money and crave for extra cash. It does sound like pyramids schemes. It may work fine for the experts or people that know how to generate online traffic. For guys like me that are starting the online business, it surely can be a downfall.